Alzheimer’s is a diagnosis including dementia. It initially causes problems with memory and thinking processes. Symptoms can worsen over time affecting behavior and daily tasks. This type of dementia is more severe than normal dementia. It ranks in the top ten causes of death in the United States. Researchers want to understand it better, so they have begun studying chimps for the disease. After official diagnosis, an Alzheimer’s patient can live an average of eight years. However, survival can range from four to twenty years. Moreover, age and other health factors can contribute. Certain signs in the brains of people studied with Alzheimer’s reveal plaque proteins and tangles of another protein, tau, causing the loss of neurons. More specifically, amyloid plaques are sticky accumulations of proteins. Neurofibrillary tangles resulted when tau proteins clump then twist. It’s not a smooth status for neurons to function properly. Now scientists are searching the brain of other primates like chimpanzees for the same markers and proteins. Rhesus monkeys, baboons and gorillas develop these same clumps. Nevertheless, it is unknown whether these animals experience Alzheimer’s or dementia in general. The findings excite many other researchers. Lary Walker, from Emory University in Atlanta Georgia, says there are many other animals similar to the way chimps age. More study with the variety of animals might help researchers. Elizabeth Head from the University of Kentucky in Lexington is also inspired. Useful information about early stages by studying chimps may be a potential breakthrough in how to prevent the disease. Most of the chimps were from Zoos, sanctuaries, research centers or laboratories for study. Therefore, the findings only reflect captive animals. Additionally, research on living animals is essential for data to be conclusive. Agnes Lacreuse from the University of Massachusetts in Amherst has a three-year study. Thirty-eight female chimps older than 50 displayed progressive spatial memory loss. Lacreuse insists more study of disorientation, sleep disorder, and cognitive depreciation could also accompany Alzheimer’s in people. Research with chimps must indicate reflective data. 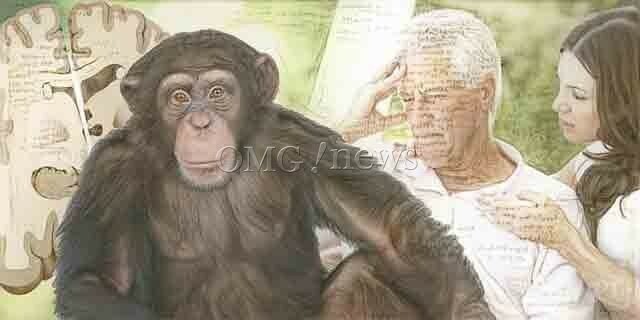 To date, there is nothing suggesting chimps develop Alzheimer’s the same as humans. Since 2015, laws prohibit biomedical research on chimps. Any non-invasive or behavioral study is presently permitted. However, stressful or rigorous research is banned. No observation of severe dementia was noticeable from the behavior study in chimps. The brain study findings suggest more investigation could benefit. Considering brain markers detectable in the chimps studied, there is a reason to believe they too might experience Alzheimer symptoms. Researchers intend to go back to the same twenty chimp brains to study more closely for additional markers and signs of dementia including neuron death. Studies will continue as there is still so much more to learn from these primates.